Earning the right to drive is one of the greatest feelings a teenager can have. However, many young drivers are entirely unaware of the seriousness of violating traffic laws while driving on a junior learner’s permit or junior license. Moreover, most junior drivers only have a vague understanding of the restrictions placed on such licenses. The following information will help young drivers with junior licenses or junior learning permits better understand those restrictions and the penalties for committing driving offenses. The main difference between a junior license and junior learner’s permit is that the latter requires a supervising driver over the age of 21 at all times, while a junior license only requires a supervising driver at certain times (see more below). Driving between 5 a.m. and 9 p.m. in Upstate New York (any county north of NYC) requires the presence of supervising adult over the age of 21 in the front, passenger seat who has a valid driver’s license for the vehicle class being driven. 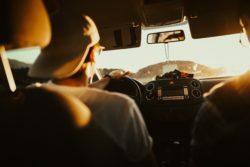 Driving between 5 a.m. and 9 p.m. in Long Island (Nassau and Suffolk) or NYC requires parent, legal guardian, or driving school instructor sitting in the front, passenger seat. This person must also have a valid driver’s license for the vehicle class being driven. Driving between 9 p.m. and 5 a.m. is not allowed in Nassau County, Suffolk County, or the five boroughs of New York City. Driving between 9 p.m. and 5 a.m. in Upstate New York requires the presence of a parent, legal guardian, or driving school instructor sitting in the front, passenger seat. This person must also have a valid driver’s license for the vehicle class being driven. At all times, there be no more than one person under 21 is allowed in the car (unless he/she is an immediate family member or the supervising driver is a parent or guardian). At all times, persons in the vehicle must wear a seat belt or federally-approved child safety seats. In Upstate New York, junior license holders can drive at any time without a supervisor provided that no more than one person under 21 is in the car and all persons are wearing a seat belt or federally-approved child safety seats. Between 9 p.m. and 5 a.m. junior license holders may only drive unsupervised directly between their home and school or work (officers may require proof of employment). Note that a junior driver’s license is not valid in NYC! A learner’s permit with a supervising driver or full adult license in required in the five boroughs. If a junior driver is caught driving in NYC, they can be ticketed for VTL 509 which covers license restrictions. How Does a Traffic Ticket Affect Junior Driver? Junior drivers who commit a violation will face the fines, points, and auto insurance increases associated with a conviction. Those who are convicted of a serious traffic violation or two other violations will find their driving privileges suspended for 60 days. Junior drivers can also have their junior license or learner’s permit revoked for 60 days if they are convicted of a serious traffic violation or two other violations within the first six months after a suspension or revocation. A serious traffic violation is one any violation worth three or more points. This includes speeding, texting while driving, and many more. Why is NYS So Harsh on Junior Drivers? Studies have shown that young drivers have a tendency to be more reckless and have more difficulty seeing the consequences of their actions than adult drivers. As such, the driving laws in New York are extra-stringent on drivers who hold junior licenses. While this may seem unfair, it is designed to keep New York State roads safe and limit the risks young drivers take. What Should Junior Drivers Do About NY Traffic Tickets? A traffic ticket is even more serious for junior drivers than it is for those with full adult driver’s licenses. Parents of young drivers must do everything in their power to reduce the possible impact of a traffic ticket in New York. If you or your child has received a traffic ticket while driving on a junior license or learner’s permit, contact an attorney for help right away. 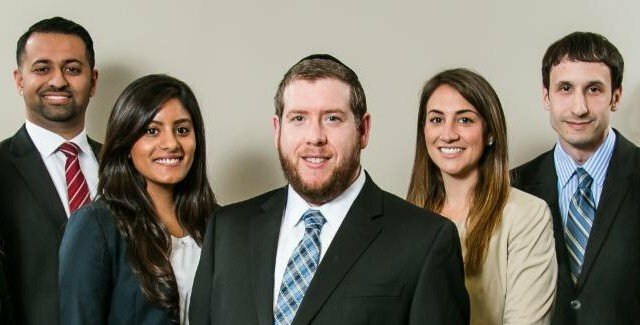 The lawyers of the Rosenblum Law Firm are experienced traffic ticket attorneys who have helped many young drivers in New York and New Jersey. Email or call 888-883-5529 for a free consultation about your case.